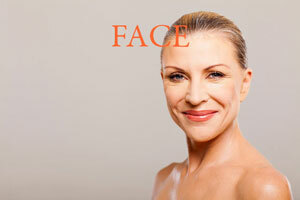 A face-lift tightens and lifts the skin on the face, jawline, chin, and neck. A face-lift does not improve eyelids or brows. If these are also problem areas for you, you may want to consider combining your face-lift with a brow lift or blepharoplasty for the most dramatic results. Non-invasive procedures such as chemical peels, microdermabrasion and Botox are sometimes be all that is necessary to provide a more youthful look, and other times these procedures are combined with a face-lift for optimal results. After surgery, you may have swelling, bruising, and/or numbness for the first few days or weeks. How fast you recover will depend on the extent of the surgery performed as well as your age, skin type, and how closely you follow your surgeon's post-op instructions. You may need extensive help the first few days and you will want to take things easy for the first month or so to minimize complications. A study by Plastic and Reconstructive Surgery® found that most patients who have undergone a face-lift reported that they look 12 years younger on average. According to The American Society for Aesthetic Plastic Surgery for Statistical Data, the average for surgeon's fees for Abdominoplasty was $6,629 nationally. This does not include additional fees for the surgical center, anesthesia, medical tests, etc.